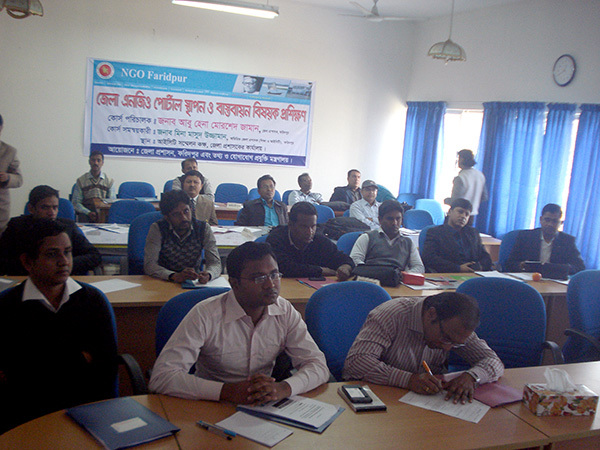 Faridpur District Administration and Ministry of Information & Communication Technology arranged a workshop on “District NGO Web Portal Development” at Faridpur DC Office on 11 February. Representatives from 8 districts including Assistant Commissioners of DC Offices, Programmers and Assistant Programmers of Bangladesh Computer Council and NGOs participated in the workshop. Mr. Abdullah Al Shakir, Webmaster of YPSA attended as NGO representative from Chittagong district. Mr. Mina Masud Uzzaman, Addl. Deputy Commissioner (Edu & ICT), Faridpur DC Office conducted the workshop. 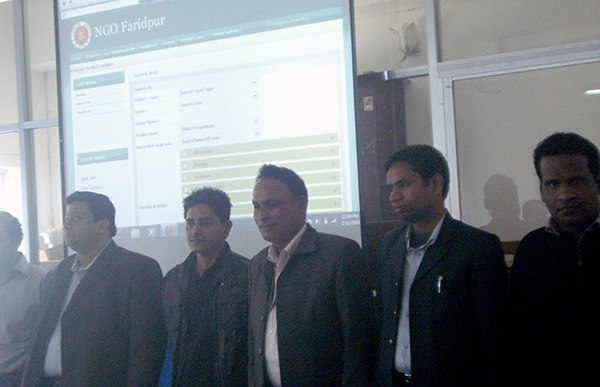 He presented the frontend and backend of Faridpur NGO portal which has already been developed as a model. “Creating NGO portals under District Administration is a very good innovative idea. All the registered NGOs working in a particular district can be listed within the portal. All information of specific NGO including organizational mission, vision, beneficiaries, working budget, donors, project outcome, contact details etc. can be found in one place. Authentic users can insert or update their own organizational contents within the portal in which admin panel will be managed by DC Office. The portal can enhances paperless official correspondence between NGO”s and District Administration thorough e-communication and e-report management. Government’s monitoring on NGOs will be easier. From donors to general people around the world can come to know about NGOs working in a specific district around the country” said Abdullah Al Shakir, Webmaster of YPSA while he was addressing in the closing session of the workshop. Office Secretary of DC Offices from 8 districts also participated in the workshop.